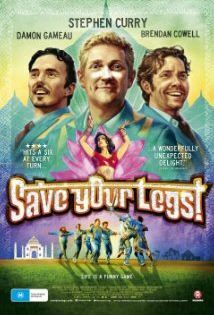 A cricket tournament in India provides the path to enlightenment for a group of thirty-something men stuck in an adolescent mindset in the charismatic new Australian film ‘Save Your Legs’. Teddy Brown (Stephen Curry) is the member of an ordinary cricket team from the suburbs of Melbourne. The team comprises of Teddy’s best friends Rick (Brendan Cowell) and Stavros (Damon Gameau) whose families have made cricket (and Teddy) an afterthought. Teddy sees a chance for the team to play in India as a way to reinvigorate friendships and represent his country playing the sport he loves. Surprisingly the sporting and road trip elements of ‘Save Your Legs’ serve only as passports to the story of mateship tucked away within the film. Teddy is living in a garage grasping a childhood cricketing dream represented by a comparison drawn between his own life and his hero, cricketing legend Sachin Tendulkar (the Babe Ruth of cricket). While Tendulkar has had incredible success, Teddy has failed to achieve anything significant in his life and it’s represented by the conservative way he plays cricket. At the other end of the spectrum are Rick and Stavros, two oafish men stuck between the responsibilities of family and juvenile behaviour that almost deems them not worthy of such riches in life. They are brash with the bat when on the cricket pitch as they are with their friendship with Teddy. The script by Cowell does put the characters through the usual trials of a trip to India that include bathroom misadventures (no film set in India is complete without it), and different chemical ways of opening the mind that provide a few laughs. The Indian experience forces the three best friends to confront the issues that are dismissed back in Australia. In the process these characters strengthen their bond and Teddy grows in confidence. It’s appealing and there’s a nice message about the value of friendship as life throws up challenges and people change. 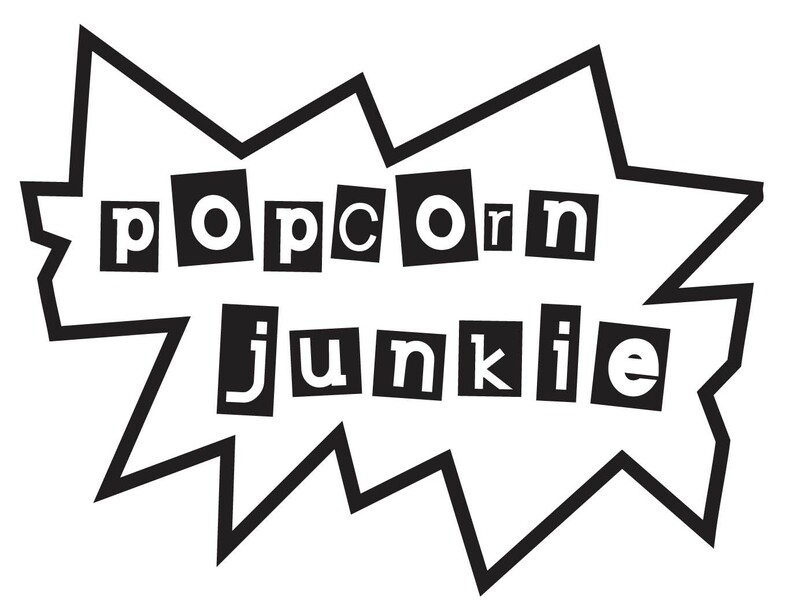 Sprinkled throughout the plot is a romantic interest for Teddy that never works well and feels forced into the film to widen the appeal. The film is forever searching for a villain that is never really required but appears nonetheless in the form of subplots involving a dodgy tournament director, a young player of the team who becomes disenchanted and Bollywood actors who seem to just despise the team for no reason at all. The colours burst off the screen in ‘Save Your Legs’ and the cinematography by Mark Wareham is outstanding. The vibrancy of Melbourne is captured early in the lush greens of the parks nestled around the sweeping shots of the city and the crowning jewel of the sports capital of Australia, the Melbourne Cricket Ground. Once the film moves to India though, the visuals really pop with bold yellow, blue, pink, green and peach, that is reminiscent of the uniforms of Kerry Packer’s World Series Cricket in the 1970s. The visuals enhance the passion the characters display for their chosen sport, especially in India where the population is mad for it. Playing a nerdy cricketing tragic, Curry gives a good performance and it’s his company on the journey that makes it worth the trip. The boozy drunk larrikin is filled out by Cowell nicely and for a slick metrosexual type Gameau delivers the right amount of smug and charm. The three actors together have great chemistry and the friendship feels genuine. The teams statistician played by Darren Gilshenan is an amusing presence albeit a little underused. ‘Save Your Legs’ doesn’t rest on being a film just about sport. Whether you’re familiar with cricket or not, the themes of camaraderie are strong and it’s worth being a spectator to this amusing tale, or to use a little Australian slang, have a crack!